Are you looking for a reliable service in London? Magic London in New Southgate N11 carpet cleaning is your local carpet cleaning expert. Our cleaners are well trained professionals, certified. They are using first-class steam and dry cleaning equipment and environmental safe detergents to make your carpet as clean as new. 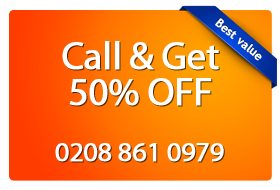 Do not hesitate to call for a service on 0208 861 0979 and get a free price estimate. We offer customer satisfaction guarantee or we will re-clean the carpet until you are satisfied. New Southgate (N11) carpet cleaners have the experience to get the job done right the first time with professionalism and courtesy. They use dry cleaning powder detergent that is hovered up along with all the dirty and dander from your carpet to make it look like new, or hot water extraction to penetrate your carpet’s fibres and make it clean. New Southgate (N11) upholstery cleaning, rug cleaning and stains removal will take on those small jobs too and make your furniture or rug look like new. Call now on 0208 861 0979 to book a service. Our friendly customer support assistants are 24/7 available to help you with every question about our services in New Southgate N11. Fell free to call us anytime, or use our on-line booking form. Also you will get a free price estimate.